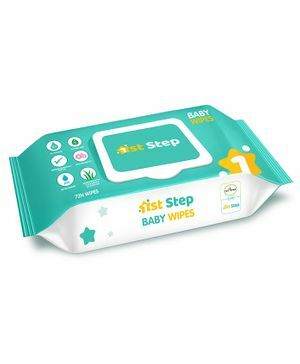 1st Step Baby Wipes are made from most hygienic premium Non Woven Spunlace fabric. It is paraben free and enriched with Aloe Vera as well as Jojoba Oil. It has multipurpose usage and its pH is balanced. Ideal for daily use.